A big hello to all my lovely blog followers and readers. Today I’m after some assistance. I’m currently writing my dissertation all about the wearing of historical dress in the public and private environment so I want to ask all the lovely people out there some questions and I would really appreciate some answers! What are your primary reasons for wearing vintage? Are there particular occasions when you wouldn’t wear vintage? Are you in fear of damaging the garments you wear? What are the oldest garments you would wear? Do you consider the environmental impact of the clothes you wear? Is wearing vintage important to you because of the lower impact on the environment? Do you think about the provenance of the pieces you wear? Would a piece having a strong provenance (for example being by an important designer or knowing the full details of who owned it before) make you more or less likely to wear a garment? I’m actually going to answer them all too. Just to give everyone a little insight into my own vintage wearing philosophy! For me vintage is all about personal expression. 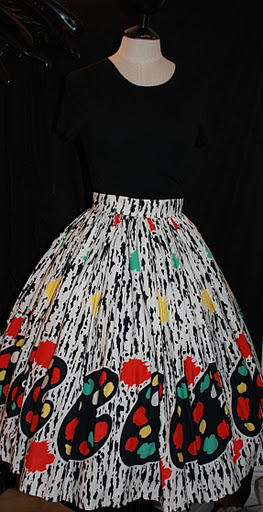 I’m obsessed not just with vintage clothes themselves but also with the history connected with them. I’m a passionate wannabe fashion historian and I think this really comes across in the way I dress. When I go out dresses solely in modern clothes I just don’t feel the same level of comfort or self confidence that I do when I wear vintage. Are there particular occasions where you wouldn’t wear vintage? Not really no. I have such a varied vintage wardrobe that I have vintage for any and every occasion, and I find it is rare that I ever go out in a total non-vintage outfit (if it’s not vintage clothes then shoes or accessories, my current day handbag is a luscious alligator skin bag). Yes, and I’ve paid the price. I’ve had drink spilt down a number of my favourite vintage dresses at parties (by myself and also by others too). I’m always in fear of anything in mint condition I have to say because with vintage garments, particularly vintage silk it can be hard to clean! A lot of pieces I wear do have the odd alteration here, and stain there which makes me feel a lot more comfortable about wearing them, because I don’t feel like I’m damaging their potential historical value by wearing them. Weirdly though this doesn’t seem to apply to my 50s cotton circle skirts. I think nearly every one I own is in perfect condition yet I have no fear of wearing these, partly I think because they are so easy to care for! This is tricky as it does depend hugely on condition. Although I know realistically I would never wearing anything from the 1920s or earlier. Generally I don’t wear anything earlier than 40s. Although, I do own a late 30s jacket, dress and suit which I wear occasionally but feel that they are too fragile. I would only wear them to places where I would have to move around too much or risk getting things spilt on me etc. I tend to stick to wearing fabrics which are durable and I know how to care for such as cottons. I always have a bit of a fear of heavily embellished or very fine fabrics. For example as much as I adore them and would love to own one I would never wear an embellished 1920s dress because they are just too fragile, and also too rare. I feel that items such as this deserve to be preserved and shouldn’t be worn. I really wish I was more environmentally concerned than I am, but when it comes down to it, for me this is always an after thought rather than my primary concern. I find that with vintage and modern clothes I have completely different attitudes to wear and repair. If a modern garment gets a stain or damage I’ll get rid of it. 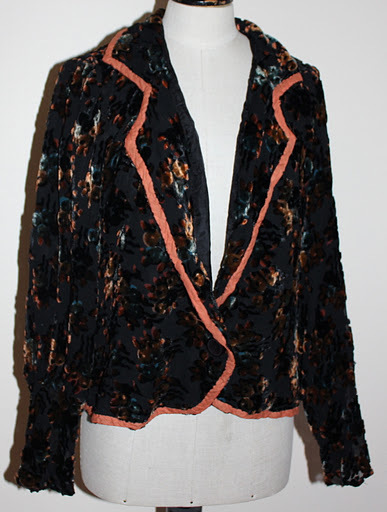 With a vintage garment I would always find a way to work round it and try and bring it back to life. Even when a vintage item is knackered I always consider it to have reuse potential. I’ll often sell stuff on ebay with the suggestion that a pattern could be made from it. Provenance is a huge deal for me. 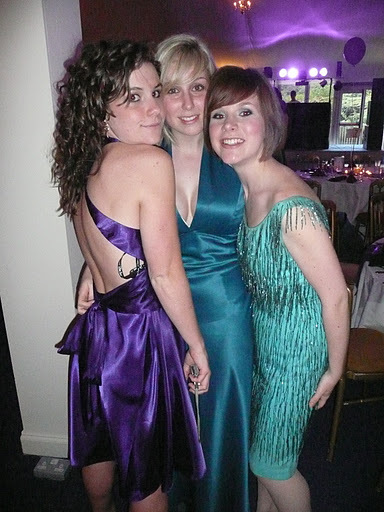 I am forever asking sellers on ebay if they know where a piece came from (much to their annoyance I’m sure) 3 of my most prized dresses have a wonderful history worn by a lady as her dress for her engagement party, her second dress for her wedding and her favourite party dress. Whenever I wear each of these I always make a point to tell people about them. Even with my modern clothes I get like this though I like to hold onto things with memories and connections, and vintage offers me the opportunity to do this more than modern clothes ever could. For example even if I don’t know where something came from there is often the option to do research into the label or the brand to find out more. Although, sometimes provenance for me would also stop me wearing a dress. For example some of the pieces I own I wouldn’t dream of wearing as they are too rare or too good an example of a particular designers work, but to me these items are no longer vintage pieces they’re almost something else “artifacts” I suppose. What are your primary reasons for wearing vintage?Originality, the thrill of ever-present history and the fit. I find modern clothes aren't cut or finished in a way which suits me or my shape. Also, price-wise, good quality is more affordable and a better investment of my time and money.Are there particular occasions when you wouldn’t wear vintage?I suppose I would automatically say 'a gig' or something, but I've worn vintage many times to sweaty, beery venues. I just make sure it's something washable or already a bit worn/damaged.Are you in fear of damaging the garments you wear?Yes, and I have done so on a few miserable occasions. But you have to fool yourself into thinking it will be fine, otherwise what's the point of owning them? Those clothes were made to me worn, and if they're still wearable then I have to trust myself that I will look after them. 99.9% of the time they are unscathed.What are the oldest garments you would wear?I seem to have a natural barrier to anything pre-1930s. I don't know if it's an issue with how delicate the garments are, or because I don't find pieces which suit me. I just don't wear them. I have some 1930s shoes, blouses and skirts which I will happily wear (with care).Do you consider the environmental impact of the clothes you wear? Is wearing vintage important to you because of the lower impact on the environment?Yes. It's hard not to look at mountains of Primark clothes in charity shops and boggle at the resources which have been wasted in their production. But I can also see that a world with no new clothing production would be far more damaging to economies and careers. I'm happy to reduce the consumption in my own little way, but it's never my first thought upon buying or wearing vintage.Do you think about the provenance of the pieces you wear? Would a piece having a strong provenance (for example being by an important designer or knowing the full details of who owned it before) make you more or less likely to wear a garment?For me personally, yes. This is one of the reasons I love wearing vintage. History and provenance. It's never my only motivation, but there's something very thrilling and humbling about knowing you have something important in your [probably temporary] care. I have a green velvet dress which I was told has been 'hugged by George Harrison'. I have no proof. But it gives me a little thrill whenever I wear it. Even without the provenance though, I still feel the thrill of something which was so precious to someone else, and kept it such good condition. That said, a worn out, bobbly Biba jersey is just as exciting because it's been loved and worn half to death. And I enjoy wearing it for that reason.